L-R: Dr Armstrong and Dr Schofield. 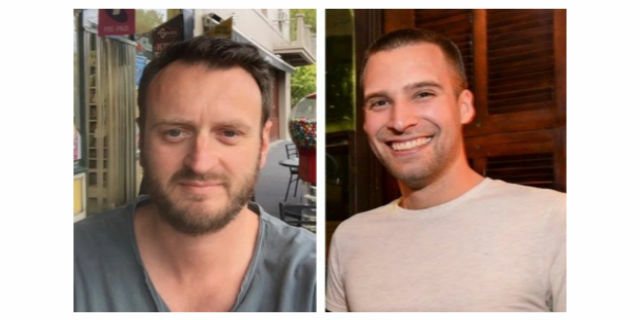 Dr Greg Armstrong and Dr Tim Schofield, Research Fellows in the Centre for Mental Health, have both been successful in applying for early career researcher awards through the Society for Mental Health Research. Greg is a post-doctoral research fellow with a background working in community mental health services. Greg has been engaged in public health research in India since 2009, and his PhD study focused on suicidal behaviour among men who inject opioids in Delhi. This award will contribute additional funds to his research examining the potential to prevent suicide in India by improving media reporting of suicides, which was initially funded by a University of Melbourne Early Career Researcher Grant. Greg is also funded through a National Health and Medical Research Council grant to study Indigenous suicide prevention in Australia with Professor Anthony Jorm. Tim is a social psychologist with expertise in both the study of self-control and prejudice, and is also currently working as a post-doctoral research fellow. He has published work examining prejudicial behaviour against stigmatized and marginalised groups. In his current role he is exploring the role of negative stereotypes about recipients of government benefits and the effects of welfare stigma. Timothy’s award will allow him to investigate how exposure to stigmatizing media portrayals of mental illness and government welfare affects a person's well-being and risk of self-stigmatization. Congratulations to Greg and Tim!